Learn how to make this super-simple, natural, homemade makeup remover with just a few simple ingredients. This natural makeup remover will not only remove your makeup, but will also leave your skin feeling soft and moisturized. If you guys have been around here for long, you’ll know I strive for two things with my skincare routine: simple and natural. Well, and cheap. Okay, so I strive for three things. That is exactly what this natural, DIY makeup remover is – simple, natural, and definitely cheap! Switching to this homemade makeup remover has been one of the best things I’ve done for my skin. I used to deal with lots of acne and dry skin until I started using this. My skin has been so much softer and more balanced. 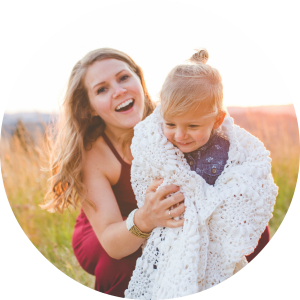 If you are just getting started with natural products and are unsure where to start, then this recipe is for you. It is one of the simplest and easiest switches to make. Plus, you probably already have the ingredients in your pantry. I know how overwhelming it can be to find safe and natural products. I was there once, too. My natural journey actually started out because we didn’t have a lot of extra money, and I started making my own products to save some dough. Now, seven years later, I’m still rocking the DIY, natural products and sharing them here with you guys. Truly, it’s the best job ever. If you’re new to natural products and you’re thinking, “why the heck does it matter?” you’ll definitely want to keep reading. I don’t use many products, and I have very strict standards when it comes to makeup and skincare products (you can read about the makeup I use here). Your skin is the largest organ in your body and absorbs about 60% of what goes on it, making it so, so important to choose healthy products. So many of our products today contain cancer-causing and endocrine-disrupting chemicals. It really makes you think if the products we use could be one of the causes of hormone imbalance and so many of the health issues that women (and men) struggle with nowadays. It makes me so sad that so many people, including many people I know, struggle with this, which is why I try to spread the word about healthier alternatives! Check out my favorite natural makeup here. 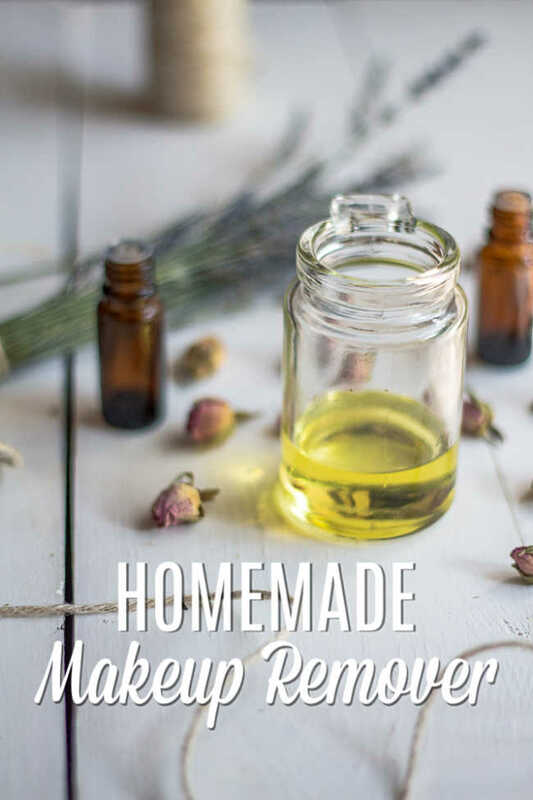 Actually, I’ve been using this homemade makeup remover for years, and I’m just now getting around to sharing it with you. So sorry. Please forgive me. This recipe is really simple, and only requires one, maybe two ingredients. Probably ingredients you already have… ready for it? Oil. I like to use avocado oil, but have used various oils in the past. Avocado oil- (I use this one) this is a great, quickly-absorbing oil that is also hydrating. It contains vitamin E and fatty acids to help nourish your skin. Olive oil– very hydrating oil, and I guarantee that you have it in your pantry. Hazelnut oil is also a good choice for dry skin. Jojoba oil– Mimics natural oils in the skin and is great for dry or oily skin. It is absorbed quickly without leaving an oily feeling. Sweet almond oil– this oil is light and very gentle on the skin. It also has vitamin E, which is great for your skin. Coconut oil- also a pantry staple, this oil works great to remove makeup, but I find it to be a tad on the dry side. You can also get coconut oil in liquid form to make it easier. This kit is a great deal on Avocado, Almond, and Jojoba oils if you want to try out or mix a combination. Remember that second possible ingredient? Essential oils. Now you can add a few drops of skin-benefiting essential oils like geranium (can help fine lines), tea tree (helps acne-prone skin), frankincense (also helps fine lines), or others. 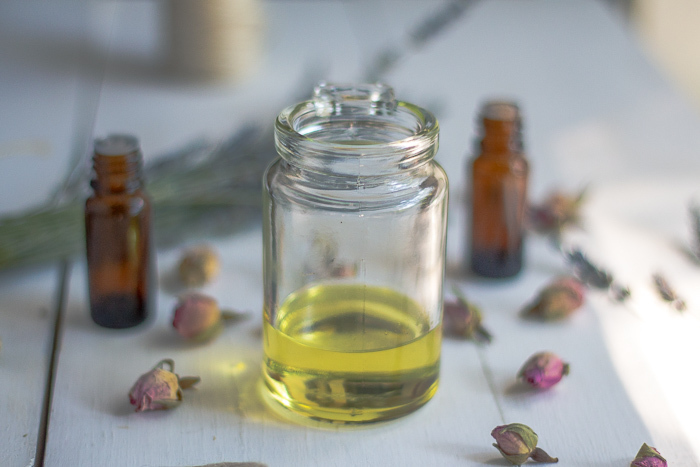 Personally, I like to add a few drops of calming essential oils like lavender and chamomile because one, it smells amazing, and two, I use this homemade makeup remover in the shower at night, so it helps me wind down before bed. Apply a small amount of oil to hands and rub all over face, focusing on areas with heavy makeup (like eyes). Rinse with water and wipe face off with a face towel or wash cloth. Here is how to do it in the shower: rinse your face with warm water, add a little less than a quarter-size dollop of oil on your hand and rub it all over your face well. Rinse with water and wipe off with a washcloth, or wipe if off on your towel when you dry off. Your makeup will come off, so I only recommend doing this if you have dark towels that you don’t care if they get stained. I know there will be some people who will say, “Amy, this is made of oil, won’t it break out my skin?” I have acne-prone skin, and this has helped me tremendously. Oil removes dirt and grime and doesn’t strip your natural oils like soaps and cleaners do. Your skin may go through a transition period for a week, but then should settle down and clear up. Need More Natural Skincare Ideas? Check these out! Wasn’t that easy? Have you tried homemade makeup remover before? What other makeup and skincare recipes do you want to see? Random rant: I was watching an Instagram live video of a makeup blogger, and someone asked her what she uses to take off her makeup. She said she used Burt’s Bees Cleansing Oil, which kind of made me snicker. Y’all, save yourself some money… don’t buy this, and just use oil you have in your kitchen cabinet. It is much cheaper.